Family game night learning some math games to play as a family. Central Christian Church volunteers invaded Edison for their annual day of service on April 7th. 30 volunteers came to Edison to build, paint, construct and clean on our campus. We are so lucky to have their support in our community. Edison hosted JA Day with volunteers from Toyota. Toyota employees visited classes to teach Edison students all about business, economics, community resources, and careers. Toyota sponsored a yummy lunch for our staff as well. Our kids really enjoy having our guest teachers for the day and we appreciate Junior Achievement and Toyota for supporting our school. Congrats to our staff members that have gotten grants for our students. Lisa Freshley - 4th grade- has earned two recent grants for her 4th grade classroom. Powering our Future grant and STEM - Seasonal Bundles are on the way to Edison. We had a blast at the Riverview Peter Piper Pizza February 20th. Miguel L. was the ice cream contest champion. Staff, students and families had fun with games and food. Thanks to Horace Mann for their visit and staff awards last week. Our site has truly benefited from their sponsorship with DonorsChoose. Edison students were recently recognized with awards for their writing prowess. Three 6th grade students were recognized in the City of Mesa- historical writing contest for their entries. Tara M. won first place, Alyson E. and Sabrina R. received honorable mentions. Paige Rowley, 6th-grade writing teacher, organized the entries. Congrats Eagle Authors!!! Two Edison students were recognized for their entries into the MPS Voices writing contest. Megan M. (1st grade) and Tara M. (6th grade) both received honorable mentions for their entries. We are so proud of our Edison writers and thanks to our teachers for their support of these opportunities. Thanks to our staff that sponsored and helped students prepare for the Edison STEAM Fair. Our winners advanced to the MPS Sci-Tech festival that will take place Saturday, March 2nd @ Westwood High School. 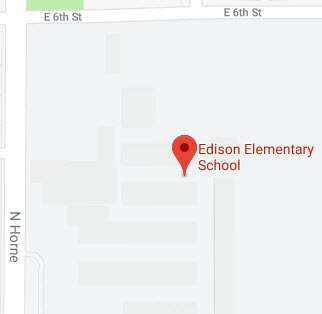 The event is from 10 a.m to 2 p.m.
Three Edison sixth grade students win City of Mesa Historical Society essay contest. Mr. Macdonald was honored on Friday, October 19th by Grand Canyon University as the STEAM Principal of the Month. Pictures are included. Edison has been selected to be an SRP energy conservation school. Mrs. Delmoe and Mrs. Rednour are leading our efforts to conserve and have attended SRP training sessions to lead our school. We are learning about our campus electricity use and how to do a better job in efficiently using our tech tools for learning. Service Learning-Thanks to all of our Service Learning student interns that are working on our campus this semester. We really appreciate the effort you have shown our community with your service and student support. Our kids love having you on our campus and teachers enjoy hosting. This year we host interns that represent Grand Canyon (GCU), Arizona State (ASU), and Northern Arizona (NAU). Edison is proud to be an AVID campus. We are building a culture of student performance and college readiness. We will develop students with the skills needed to organize their work, study for exams and apply their thinking to a variety of learning tasks. Learn about AVID in MPS. Edison students in grades K-4 work with this program to help them build math skills. We are glad to keep this program for our students. Rock on Jiji!!! Students at Edison will practice their math skills using a program called ALEKS. This web based program allows each student to work at an individual pace following a unique learning path as they advance their skills and close any knowledge gaps they have in specific math concept areas. 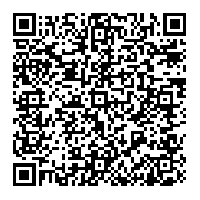 Scan here to collect our contact information. Edison students in Mrs. Soloff's 4th-grade created a class mural to celebrate MLK Day and the contributions of Martin Luther King Jr.
Landen, Amber and Carson represented Edison in the Annual MPS Battle of the Books. Way to go Eagles. Edison hosts Maricopa County HeadStart in room 5 on our campus. This year, there is one class session for all students attending the preschool. Our motto was "Real Heroes don't do drugs!"